Genre: Shoot 'em up; Action. Sometimes I wish that only the most awesome of games would make themselves available to me, as there are simply not enough hours in the day to slog through tiresome levels of total b*llocks. Sometimes I wish that our editor would allow us to go one better than Spinal Tap’s two-word ‘sh!t sandwich’ review because there are not enough hours in the day to write much more when swamped with yet more tedious b*llocks to play-through. Sometimes I wish I could just write a single-word review with that word being ‘meh’, which I’m not even sure is a word – more like a trombone-sounding fart than a word actually – because that would at the very least give a few precious hours of my life back. 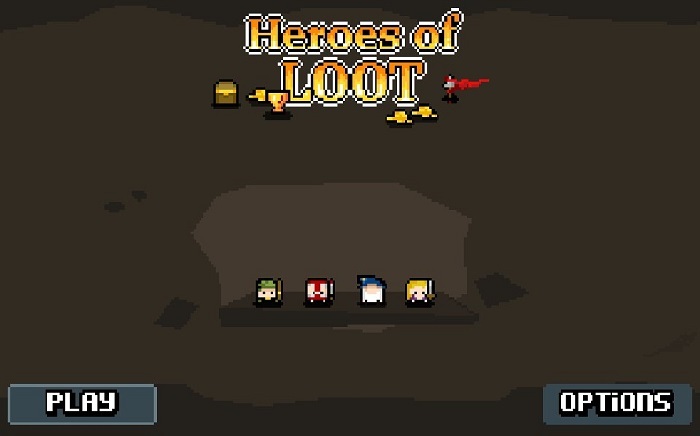 Alas, I’ve been playing Heroes of Loot on the Vita for much of the last week. It’s kind of meh. That’s not to say Loot is a terrible game. It’s just had the incredible misfortune of being the fixture that follows on from the rather wonderful The Binding of Isaac. 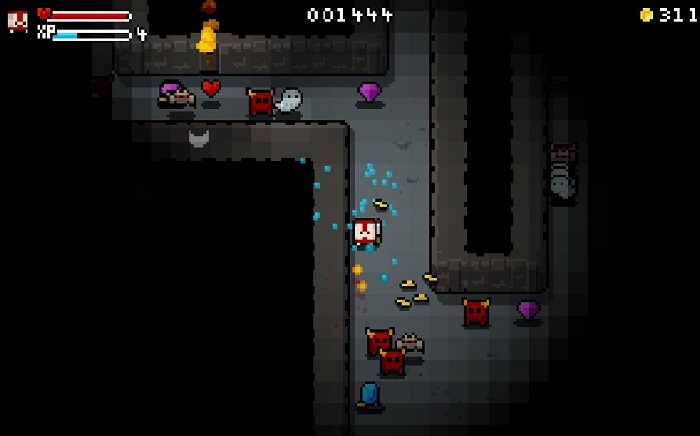 As an uncomplicated top-down, twin-stick Gauntlet-style shoot ‘em up Loot shares parallels with Isaac, but all this serves to do is magnify the lack of real depth and longevity within OrangePixel’s retro-styled dungeon romp. I wonder, do sprites dream in pixels... of a more peaceful existence? ​At first all seems well. Four different characters (Elf, Wizard, Valkyrie, Warrior) with variable strength and magical abilities conforms to the standard Gauntlet model. 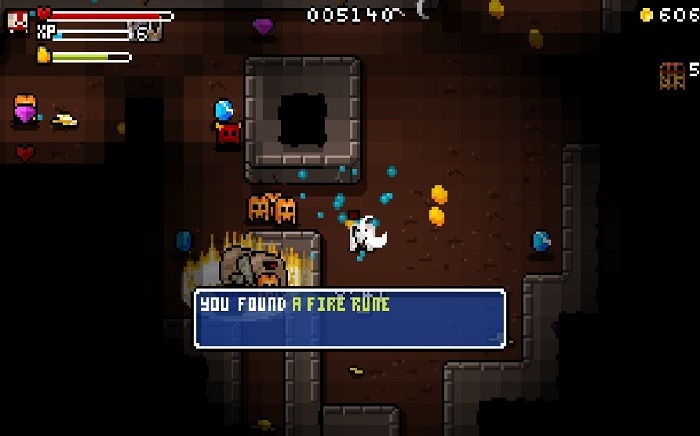 Thrown into a dungeon of ghosts, skulls, bats, fire-imps and sh!tloads of other beasts the simple aim is to defeat enough enemies to acquire the key that opens the door to the next level of dungeoneering. 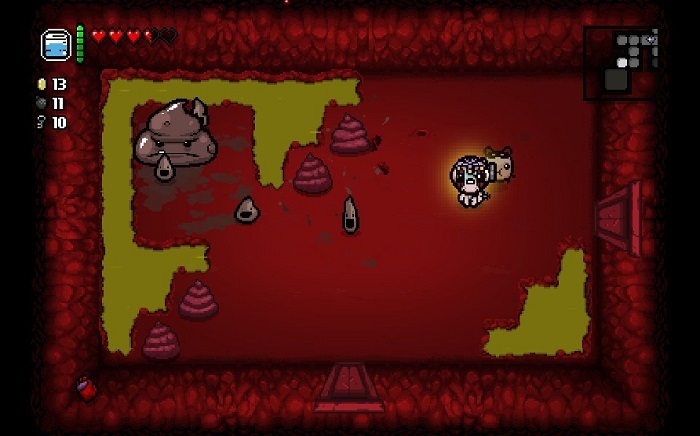 Alongside a shitload of monsters to mash there is indeed a shitload of loot to collect, although all this really does is provide you with coin to spend at the local shop that spawns on every stage. Sometimes the shop is replaced with a meeting with an underground King who offers the player a reward for completing a bog-standard mission. These usually consist of killing a certain number of beasts, collecting gems or saving fellow looters locked up in cages, but they add a serviceable distraction to the otherwise hordes of monsters and bullet hell that basically make up the game. Heroes of Loot is quite punchy at first drawing the player in with a straightforward learning curve that gets one into the thick of the action. The twin-stick control is easy to operate and the level maps are small and compact making Loot a relatively simple game to understand – conceptually it’s not exactly brain science. Difficulty gradually increases as progress is made with more monsters piled into levels, including more irritating w*nkers like the Cyclops and Minotaur. Taking more hits than regular beasts and doing decent damage themselves they certainly up the ante. Well, for at least five minutes anyway. ...Among many, many other things. Who needs magic, or indeed weaponry, when difficulty is apparently zero! ​The crux of the problem is that once you get to a certain point everything is very samey and derivative. 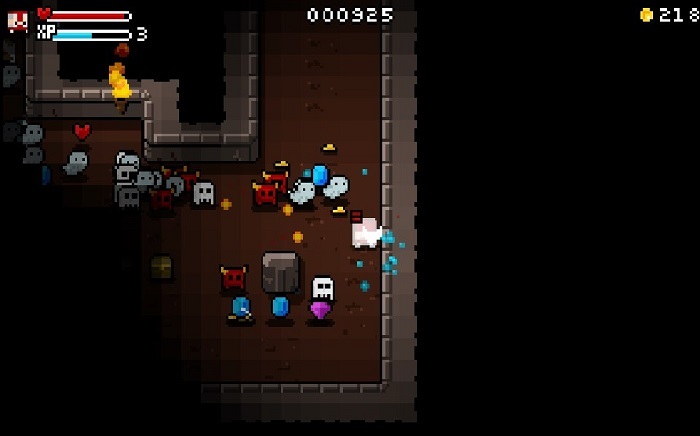 Maps, while randomly generated, don’t really differ that much – some big rooms and narrow channels stuffed with spoiling-thrumble to obliterate and occasional secret areas filled up with goodies – big flipping deal! Similarly, the loot you can obtain is just so terribly dull. An invisibility cloak and various shields of particular strengths – all exhausted on use – along with XP scrolls to increase your own unspectacular firepower and magic more quickly just does not deliver any sustainable variety. Crucially, once you’ve mastered an effective strafing strategy to dodge enemy missiles (i.e. moving side to side renders pretty much all enemy firepower inconsequential to your health) then the only creature that provides any meaty challenge are the Minotaurs. Even then, the Mino’s are still a bit too much like shooting fish in a waterless barrel. As a consequence, give it a few hours and all those trophies will be unlocked, leaving just the online high score table remaining as any worthy challenge. 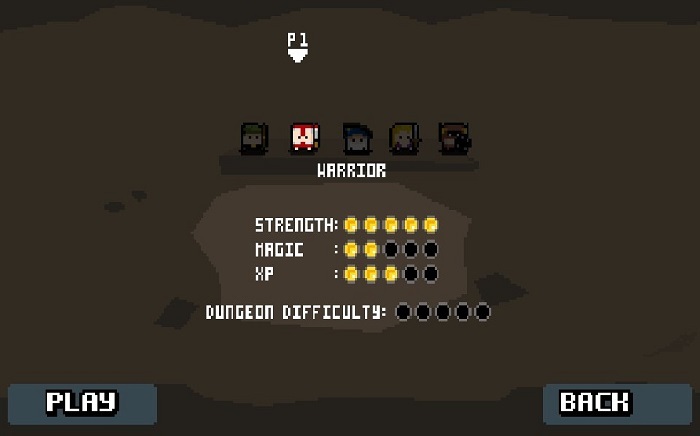 Get past dungeon 40 once though and you’re unlikely to go back, as you will suddenly realise there are more important things to do than grind away further on a game that lacks both variety, challenge and, rather unforgivable giving the games title, worthwhile loot of consequence! 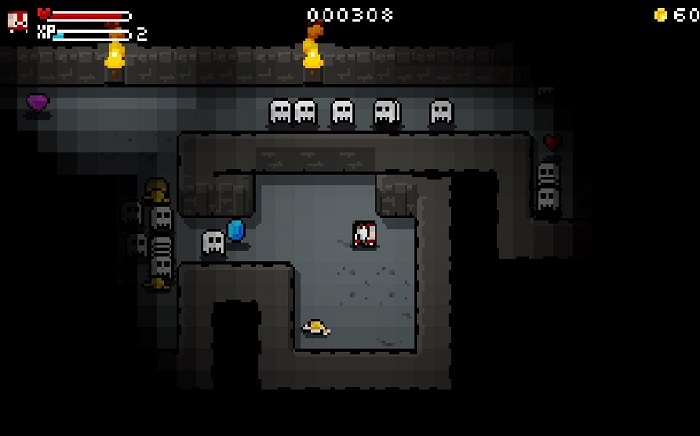 Heroes of Loot just doesn’t have anything to keep pulling you back for one more go. 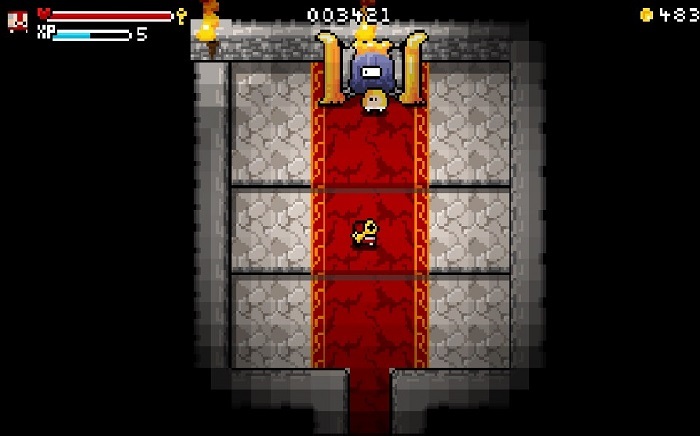 So, whilst it is fun to start with – both the 8-bit styled graphics and musical ditties are neat touches and it’s competently put together – the lack of longevity and depth means that even at a fiver, this simple dungeon shooter is one that should be easily avoided (bit like that enemy firepower actually).